Det. 11 has 40 professionals teaching 75 courses that provide mission-essential maintenance training across 14 career fields, supporting eight MAJCOMs. Det. 11 provides an average of 20,000 instructional hours in the classroom and on the flightline for the A-10C, EC-130H, HC-130J, HH-60G, F-16 and Aerospace Ground Equipment at not only aircraft maintenance units at Davis-Monthan, but for other CONUS and OCONUS bases as well. They manage the U.S. Air Force’s only A-10 mission ready airman school that provides initial skills training for more than 200 crew chiefs a year. 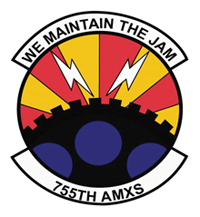 They also manage the Air Force’s sole miniature/micro-miniature circuit card repair training facility supporting 73 Air Force repair and enhancement programs worldwide. Mission: Provides combat-ready EC-130H compass call aircraft, crews, maintenance and operational support to combatant commanders. 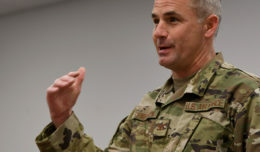 The group also plans and executes information operations, including information warfare and electronic attack, in support of theater campaign plans. Members of the 55th ECG conduct EC-130H aircrew initial qualification and difference training for 10 aircrew specialties and support operational and force development testing and evaluation for new aircraft systems. 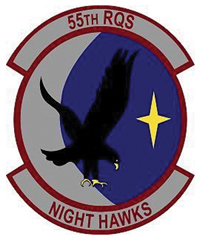 Description: The 55th ECG is a geographically separated unit of the 55th Wing headquartered at Offutt Air Force Base, Nebraska. 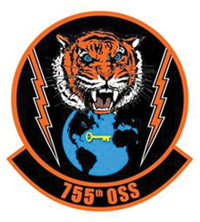 Mission: Conducts operations designed to degrade the transfer of information essential to command and control of enemy weapons systems and other resources. The squadron also conducts mission qualification training for EC-130H flight crews, mission crews and support personnel. Vision: Provides war-fighting commanders with combat-ready EC-130H Compass Call aircraft and aircrews trained to execute electronic attack and information warfare strategy. 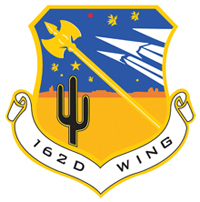 Description: There are 147 active-duty aircrew and support personnel and one civilian member. The EC-130H Compass Call is a specially modified C-130H aircraft that carries a combat crew of 13, providing an airborne electronic attack capability to the combat air forces, improving survivability of ground and air forces by targeting enemy communications, navigation and radar systems. 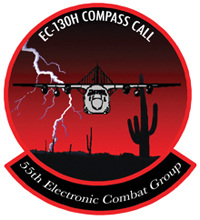 Mission: Provides the 55th Electronic Combat Group with combat-ready EC-130H compass call trained aircrews. 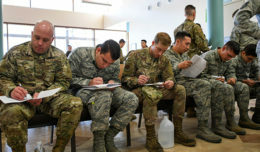 Directs all EC-130H aircrew initial academic and flying qualification, difference and requalification training for 20 aircrew specialties with more than 200 aircrew students trained annually. Provides registrar support to students. Maintains quality control for all aspects of contracted aircrew training and manages courseware development for 22 Air Combat Command syllabi. 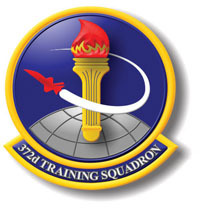 Provides the group with simulator support for both continuation and initial qualification training. Description: There are 55 active-duty aircrew, support personnel and civilian members providing EC-130H compass call flight and simulator training for 175 active-duty formal training students annually. The EC-130H is a modified Lockheed C-130 aircraft capable of reducing an enemy’s ability to wage warfare through disruption of command and control capabilities accomplished with a crew of 13. Mission: Provides warfighting commanders with combat-ready EC-130H compass call aircraft and aircrews trained to execute combat information warfare operations, in order to degrade the transfer of information essential to enemy weapon systems and battlefield resource command and control. Vision: Combat-ready Airmen delivering electronic attack at a moment’s notice … anywhere! 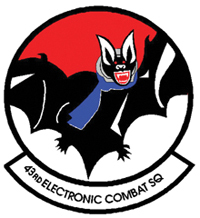 Description: Also known as the Bats, the 43rd ECS is comprised of about 160 active-duty aircrew, support personnel and civilians. 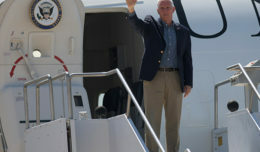 Equipment includes eight assigned aircraft worth $165 million each. The squadron has been continuously involved in deployed combat operations for the last 11 years. Mission: Provides war-fighting commanders with combat-ready EC-130H Compass Call aircraft to expeditiously execute information warfare and electronic attack operations. Vision: Plans and executes all on-equipment maintenance actions for 14 EC-130H and one TC-130H aircraft. These actions include launch, recovery, scheduled inspections, servicing and component replacement. They also conduct all maintenance training, aircrew debriefing and supply functions. 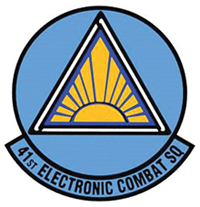 Mission: Supports the 55th ECG worldwide combat missions and contingency taskings. 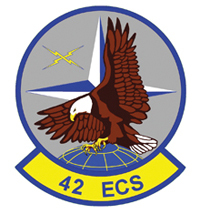 The squadron directs operational support functions including plans, exercises, aircrew flight equipment, cryptologic training, ECG scheduling, weapons and tactics for four EC-130H Compass Call squadrons. The unit performs information analysis, targeting and intelligence activities. Vision: Provide a 24/7 support umbrella to ensure the success of current and future EC-130H compass call worldwide combat operations. Mission: Rapidly deploy highly survivable Combat Search and Rescue forces to theater commanders. Employs HH-60G and pararescue forces in hostile threat environments during the day or night, and in marginal weather conditions. Conducts military operations other than war including disaster relief, counter drug operations and non-combatant or medical evacuation. Provides close-air support to assigned pararescue and ground forces. Vision: The personnel recovery vertical lift force of choice, across the full spectrum of PR operations in support of joint, combined service and interagency operations.